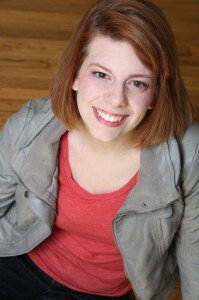 In today’s blog, guest blogger and MATS Summer Intensive Alumna, Marcy Thornsberry, describes her experience with Russian theatre and how studying at MATS informed her career as a professional theatre artist. The summer before my senior year of college, I participated in the Moscow Art Theatre School Summer Intensive. 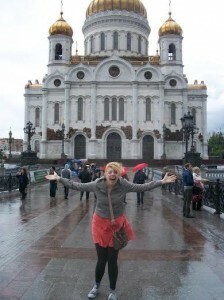 My trip to Russia was the first time I had ever been abroad, and I loved it! 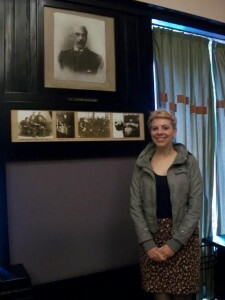 As a theatre artist, I gained vital experience both from the classes I took and from the plays we saw while in Moscow. Marcy in front of Christ the Savior Cathedral. We were lucky to see a production almost every night. Although I do not speak the Russian language I was still able to understand the majority of the plays we attended. The language barrier encouraged me to observe the characters closely in order to better understand the story, and as a result of the talent and dedication of the performers, I clearly understood the intentions and relationships performed. I feel as though experiencing the Russian repertory theatre system, as well as working with and watching artists that are closely connected with Chekhov and Stanislavski, provided me with an experience that I could not have received in America. Marcy with some of her program-mates. I still vividly remember sitting in the audience seeing Butusov’s production of The Seagull, one of the most beautiful productions I have ever seen in my life. Krymov was another of my favorite directors. His productions were all enthralling, visually dynamic, and the performances were always excellent to watch as an acting student. 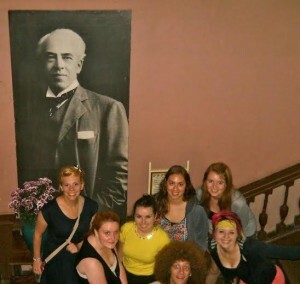 I was also fortunate enough to visit the homes of Chekhov and Stanislavski. 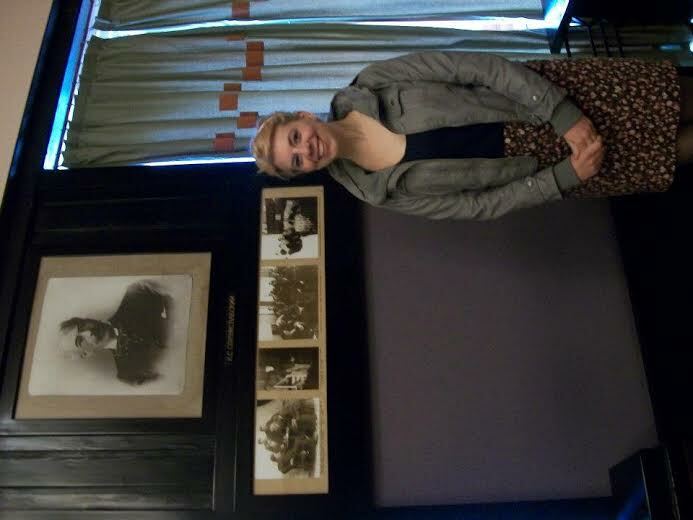 Marcy with Stanislavski’s picture inside the Moscow Art Theatre. Since graduating college last December, I have been working professionally as an actor. My training in Moscow has made me more marketable as a theatre artist. The experiences both in the classroom and in the audience have made me more rounded both as an actor and an ensemble member. Understanding how to work in an ensemble is essential in any career, and my time in Moscow developed those skills. In addition to the amazing theatre in Moscow, the culture and history are just as awe inspiring. I would recommend this program to anyone interested in furthering their study of theatre.